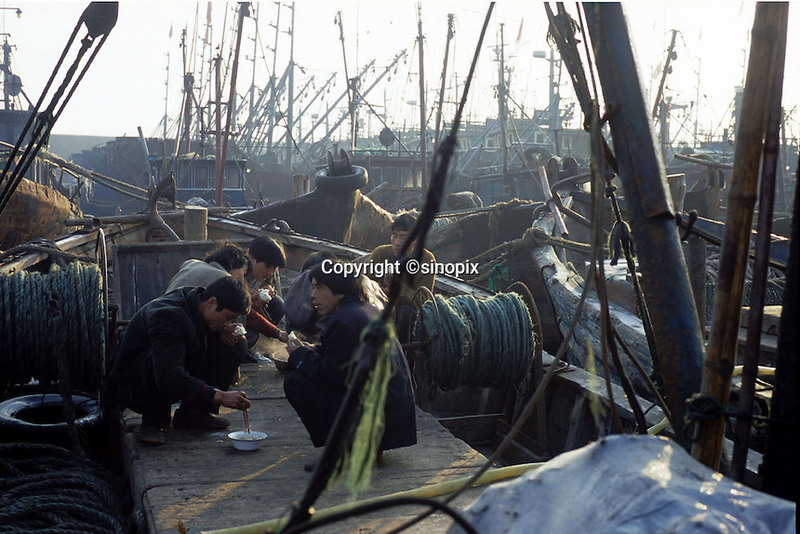 Migrant workers from Henan province have breakfast on their fishing boats at the harbour at Chuwang fishing village 250 km away from Beijing. The Chinese fishing industry is in decline with the government cut of 10% of boats, which amounts to 10,000 boats and 30,000 fishermen. Most boats in Chuwang have not been put to sea for two weeks. Penglai, China.